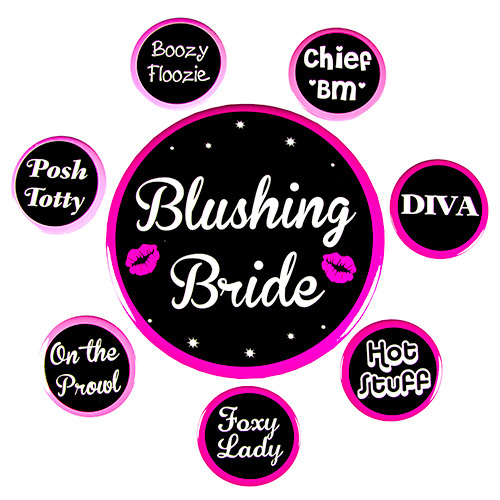 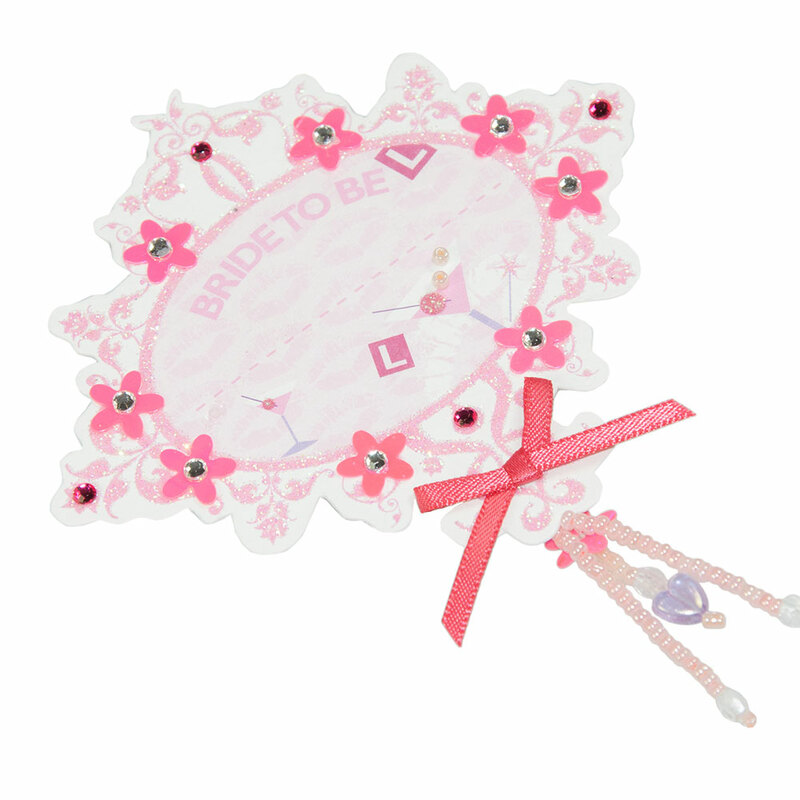 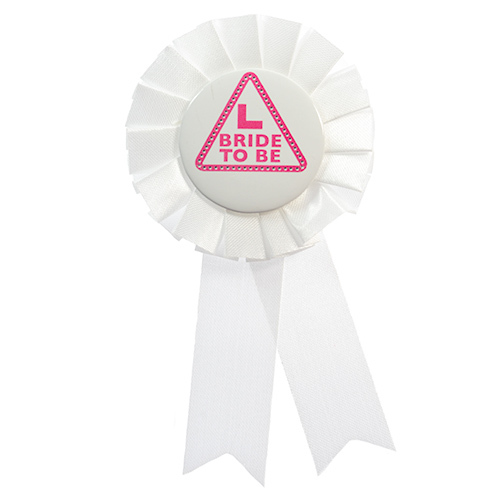 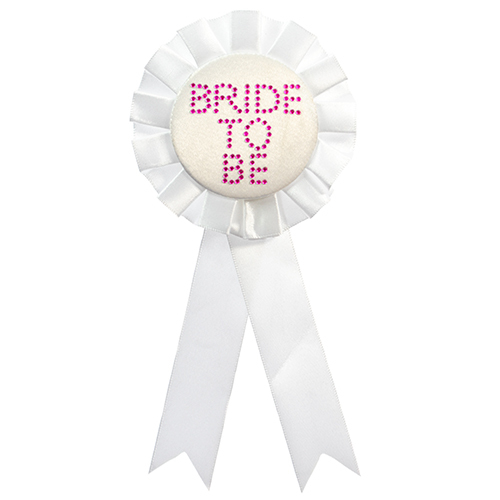 This fantastic badge for the bride to be has it all, it is beautifully designed, has all sorts of sparkly glitter and gems and even has a space to write the Brides name on too. 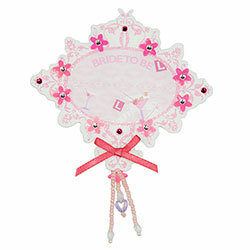 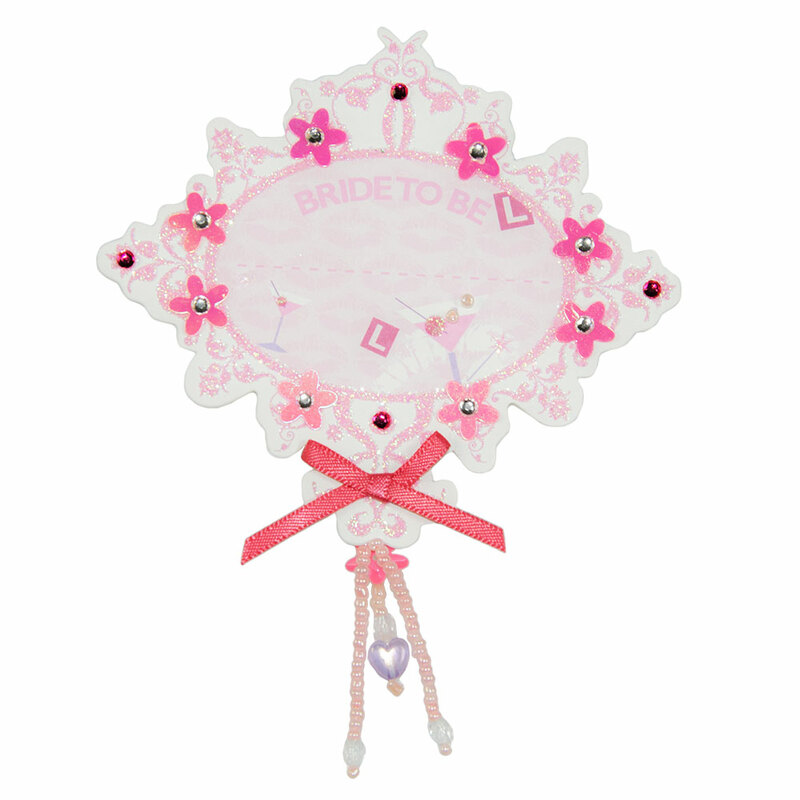 The badge is around 9cm wide and roughly 12cm long if you include the pink beads which dangle down from the bottom. This item has a pin fastening and is amazing value for money.